I’m back from the long hiatus! Have been busy being a mama to my cutie girl. During this time, I had to reject quite a few review requests as I was breastfeeding. It hasn’t been easy trying to juggle my own leisure time and looking after a kid (even though I have help from my in-laws), but I’m determined to get back into the pace of things. I’ve already got quite a few things lined up that I want to share with you guys. So, here’s the first review from my long hiatus…it’s from the good people of BeautyKeeper and The Sample Store! 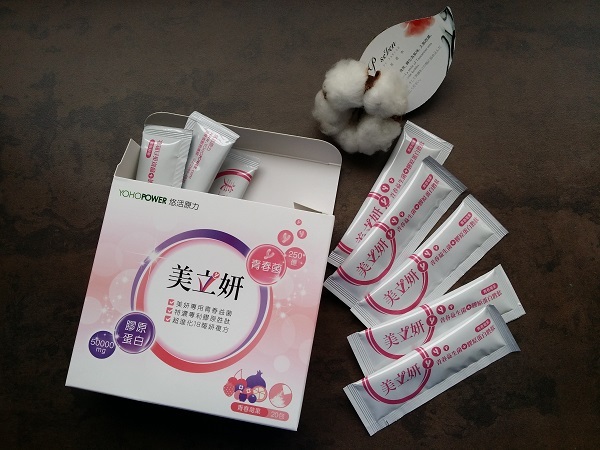 BeautyKeeper is a platform that originates from Taiwan and brings to you, all the trendy and fashionable Taiwanese skincare, make up and beauty supplements. They offer premium products and not cheap, low quality stuff to fulfill all your skincare needs. 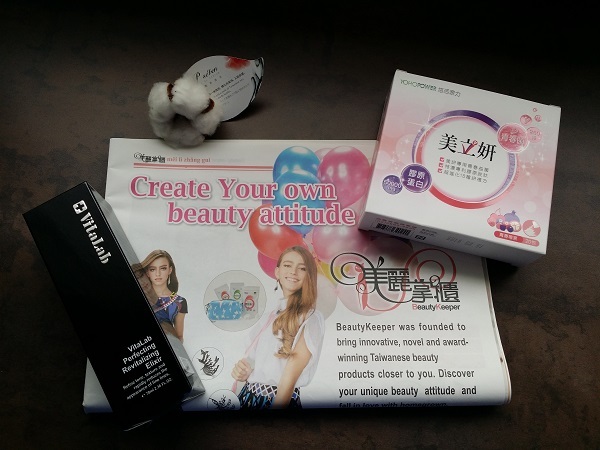 I’ll be introducing two products which you can purchase from BeautyKeeper. First up is the YOHO Power Probiotics Collagen which gives you the power of youth and enhances the effectiveness of collagen. It has a blend of 12 different natural phenol (acai berry, cranberry, mangosteen, pomegranate, wolfberry, strawberry, chilean fruit wine, blackberries, grapes, raspberry, blueberry and cherry) to give you radiant skin and French-made elastin to bring the firmness to your skin. Each box comes with 20 sachets. According to the instructions, you can take 2 sachets per day for general well-being or 4 sachets per day for intensive care. You can either consume the powder just like that or mix it with food/water. It smell and tastes very strongly of berries so I had no problem consuming it directly. 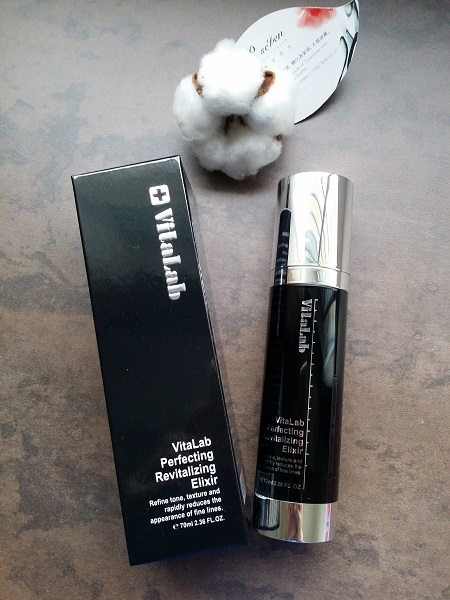 The next product is Vitalab Perfecting Revitalizing Elixir which refines the tone and texture of the skin, and rapidly reduces the appearance of fine lines. Due to the needs of post-cosmedermatology care in recent years, Vitalab was established to serve clients with extremely sensitive skin. Thus, its products are safe, effective and hypoallergenic. I use it as a moisturiser. The cream is light and not too oily. It has a nice rose fragrance which is not too strong and overpowering. Just 1,5 to 2 pumps (2 small mounds) is enough cream to cover my whole face. I’m the kind who needs to use beauty products for a longer period of time before I can see results thus I wasn’t anticipating much. 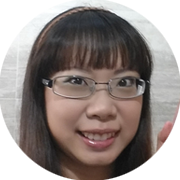 However, when I went for my facial session this month, my facial therapist said I looked fairer and my skin was in a much better condition than last month, I was pretty surprised because I hadn’t done anything out of the ordinary except used both products for about 2 weeks or so. I had even gone swimming the day before my facial and thought I would be darker! I’m not making all this up; it really is a true story!